The replacement of mechanical functions in the manufacturing industry with hardware and software has been the driving force behind mechatronics. Mechatronics has continued to be a necessary outlet for the manufacturing field. According to CareerBuilder, the manufacturing field is currently experiencing a skills gap, as more jobs that require higher skills open up and there are few qualified people to fill them. Fortunately, with a mechatronics education background, you can get started in different advanced manufacturing careers by combining engineering with mechanical and technical skills. For manufacturing companies to maintain a competitive edge, they have to constantly adapt to the ever-changing technology into the production process. From automobiles to aerospace to consumer products, advanced manufacturing is changing how goods are being made. If you decide to pursue this career, your main job responsibilities will include crafting, developing, programming, and testing complex electromechanical robots and other automation devices used in advanced manufacturing. This mechatronics career will require you to apply both theories and principles of electrical, mechanical, and computer engineering to change, improve, and test machinery and other equipment that are used in advanced manufacturing. You can choose to use your mechatronics degree to work as a CAD drafting technician for companies in the advanced manufacturing sector. Your main responsibility will be to use CAD software to aid in the design and manufacture of products. The ideal mechatronics degree program will combine theories with practical hands-on practice to ensure that after graduating you should be ready for an advanced manufacturing career. Hands-on lab experience: You will start working in the laboratory from the first day where you’ll learn computer software skills that are necessary for a mechatronics career in manufacturing companies. Internships: before graduating, you will be required to participate in internships where you will gain important on-the-job experience. 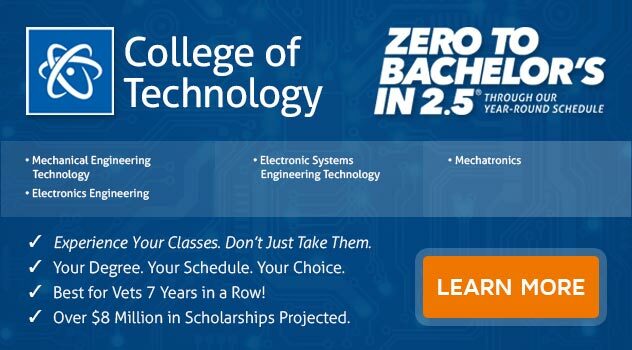 Career-focused courses: Accredited institutions offer career-focused mechatronics courses. Some of the courses that will be applicable to your advanced manufacturing career include programming, computer networking, programmable logic controllers and robotics, and motor drives. Install, maintain, troubleshoot, and repair mechatronic systems using standard approved practices, tools, and procedures. Implement automated advanced manufacturing processes. Use CNC equipment, laser cutters, and 3D printers to fabricate prototypes. Control the manufacturing systems to aid in the fast and efficient manufacture of finished products. Communicate effectively to a variety of audiences such as technicians, managers, engineers, and customers using both technical and easy to understand languages. Illustrate the movement of materials and other resources in the manufacturing cycle. Master the manufacturing process to enhance the production process. Because of competition and the increasing demand by customers for higher quality products, manufacturers are always launching modified or new products to satisfy customer demands. To be able to do so, manufacturers have found it necessary to automate manufacturing and assembling of products. By using CAD (computer-aided design) and CAE (computer-aided engineering) tools, it becomes easier to develop three-dimensional models. These models are then analyzed and simulated to monitor their outcomes using numerical tools. This provides insight into the performance of similar products to the designers during the early stages of product development. In traditional design manufacturing processes, design assessment was often conducted after the first production. This consumed a lot of time and lead to delayed product development. However, through the use of CAD and CAE tools, manufacturers are able to save time. CAD and CAE tools enhance the generation of the final designs which are sent to the product processing and planning department, and mechatronics based systems like CAM (computer aided manufacturing): automatic part programming, automatic process planning, and manufacturing resource planning among others. This helps in the planning of various activities that will lead to the achievement of manufacturing aims in terms of quantity and quality within the specified time. Automated mechatronics systems such as quality assurance, record making, automatic packaging, and automatic dispatch help in expediting all manufacturing operations. The systems ensure that there is a continuous supply of better quality, reliable and well-packed products. Interested in advanced manufacturing? ECPI University offers a Bachelor of Science Degree in Electronics Engineering Technology with a Focus in Mechatronics. For more information on this exciting program, connect with a friendly ECPI University admissions officer today.